“There is no book of history more exciting, more rich, more vital, to understand the secrets of September 11 than “The road to the new world disorder” by Peter Dale Scott . Afrique contemporaine no.236, 2010/4 [in French]: “As long as you have not read this book, your persisting naivetÃ© will prevent you from understanding how the world has evolved…. Click here for extracts in French from the review. Jon Harrison, “Prelude to Disaster,” Liberty, April 2008: ” In a remarkable preface to the book, he contrasts the America of 1961 with the America of today, maintaining that we as a nation have lost our way. Libertarians will perhaps bristle at some of his conclusions. It may be possible to refute him on some particulars, but I fear the broad picture he paints is all too accurate. I found particularly resonant his comparison of present-day America, awash in unneeded consumer products and mindless diversions, to the simpler life he and his wife discovered in Thailand, where they recently spent some 18 months. … This is not a standard narrative such as academics have been producing since the 19th century – that is, a presentation of generally agreed upon facts that are analyzed according to the author’s ideological predilections. Rather, it is an attempt to reveal the deep politics of the period – the stories that never make the newspapers (or are misreported), the facts that are somehow left out of the standard academic works. Let me stress that we are not here entering the world of conspiracy mongering. This book, like all of Scott’s prose works, is meticulously researched and sourced. His formulations are grounded in the evidence. His conclusions may be disputed, but not on evidentiary grounds. In short, the scholarship is excellent. …Should we then consider, after all, the possibility that our own government may have had foreknowledge of the 9/11 plot, and allowed it to go forward? Scott does not make this quantum leap, but he insists that many important questions about 9/11 remain unanswered; that a cover-up (the reasons for which we can only speculate about) occurred. His arguments in this regard are persuasive. To see a review in the Toronto Globe and Mail of January 26, 2008, a very negative one, click here. One-Hour Video Discussion of the Book“Conversations with History,” Video discussion with Harry Kreisler of the University of California, about The Road to 9/11, August 8, 2007. One hour. Reviews from the Internet:Joseph Nechvatal, HEYOKA Magazine, Fall 2007, http://heyokamagazine.com/HEYOKA.9.BOOKS.DaleScott..htm: “….Writing with a touch of the charm of the poet that he is, Dr. Scott has been walking us through this political-historical shadow land for some time now. The Road to 9/11, which as the title indicates, provides historic origins of the terrorist strikes of September 11th 2001, builds on and extends his prior research into secret intelligence activities…. By examining only the verifiable aspects of the suspicions surrounding the catastrophe of 9/11, Peter Dale Scott shows how America’s military expansion into the world under the banner of 9/11 has been the result of crucial but surreptitious arrangements made by small cliques reactive to the agendas of privileged affluence; agendas resulting in the disbursement of the communal democratic state. Irrefutably, this is an imposing and scrupulous examination of how secrecy and terror is used as political weapon when shifting public authority to an unaccountable prosperity class. As such, I could not put it down and highly recommend it. This is a brilliant book, impeccably documented, that sees the executive branch of the American goverment through a prism of skepticism and alarm, bolstered by heavily footnoted sources. ForeclosureFishReview, October 1, 2007, http://www.foreclosurefish.com/blog/index.php?id=282: ….some of the most revelatory information in the book concerns plans for the Continuity of Government (COG), that had been worked on by Cheney and Rumsfeld and originally disclosed during the Iran-Contra affair. According to Scott, the COG plan “called for ‘suspension of the Constitution, turning control of the government over to FEMA, emergency appointment of military commanders to run state and local governments and declaration of martial law during a national crisis.’ The plan also gave the Federal Emergency Management Agency, which had been involved in drafting it, sweeping new powers, including internment.” Disturbingly, the same team that worked on COG plans was put back together in May 2001 by President George W. Bush to constitute a task force on terrorism. Furthermore, the attacks of September 11, 2001, resulted in the first implementation of the COG plans. …Scott’s powerful, involving analysis of US covert policy and its relationship to the events of 9/11 is a tour-de-force. I’ll also note that, though the book is heavily footnoted and carries a lengthy bibliography, I found it to be more readable and emotionally engaging than some of his earlier works. (There are some thoughtful and appropriate personal touches). It’s worth finally mentioning that Scott cleverly begins each new section of the book with highly appropriate quotes pertaining to the chapter that follows…. 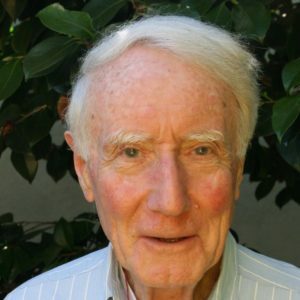 ***** The Origins, Growth and Follies of of Radical Conservatism , by J. M. Stout, Ph.D. (Arizona): One of America’s most respected and and cogent sociopolitical scientists, Peter Dale Scott (UC at Berkley) has answered the most important questions about the Neocons and Bush Administration. The work is undoubtedly one of the most important books written since 1970, given that it demonstrates how the Neocons do not believe in Democracy, the American voter or sovereign nations entitled to design and implement their own destinies. Do not walk, but run to buy this book. The importance of this publication should not be underestimated. Published by the University of California Press, Scott’s new book goes further than any other book so far published about 9/11, to identify and establish through unimpeachable documentary evidence the historic factors that have made the crime of 9/11 and its cover-up possible. Much more than this, The Road to 9/11 demonstrates exactly how it has happened over the past half century that American democracy has been fundamentally undermined, and, vitally, how it can be re-established. Most of the book documents key points in this “para-political” history. It’s treatment of the actual crime of 9/11 is brief relative to the space given towards establishing the hidden political structures and context which allowed 9/11 to happen. This is not a book detailing all the legitimate questions about the 9/11 event; rather, it focuses on some of the most pertinent – and damning. More importantly, and this is its most significant offering, it establishes the underlying context by which to accurately understand the current historical predicament. The fact that UC Press has published this book – even though it names sitting politicians as being likely of having committed criminal, even treasonous acts – is a testament both to their courage, and especially to the impeccability of Scott’s research. Reportedly, the relevant editorial department at the UCP Berkely decided to publish the book only after commissioning two independent peer reviewers, who each recommended publication…. As bold and disturbing as it is, they apparently decided it was too important to decline or delay publication of this material, once the accuracy of its sources had been vigorously confirmed. Style-wise, it’s academic, to be sure, but it’s a great one to give to judges, journalists, police officers, lawyers, professors, religious leaders, politicians, military officers, students, concerned foreigners, and, well heck – any caring citizen with a brain. This book will surely become a cornerstone for present and future historians to understanding the current epoch. If you care about our democracy, The Road to 9/11 is a book you must read. Soon. Peter Dale Scott is a modern American hero. His forays into the dark world of deep politics and the functions of the Uber-State are extraordinary contributions to our understanding of how US hegemony has developed in the post war period, and particularly since the 1960s. The persuasive power of that writing is, apart from the argument, derived from meticulous research, the rechecking of sources and corroboration of factual claims by ample foot-noting (there were, for example, 117 pages of footnotes in The Road to 9/11). Coming to Jakarta is a poetic re-telling of Scott’s personal, intellectual journey through the world of international political terror and complements his other body of work. It’s a long poem, and much of it may prove inaccessible to readers unfamiliar with Scott’s political writing or the historical subjects alluded to. That should not deter, but be accepted as an invitation to commune with one of the great political analysts of our time. Weekend Australian, September 22, 2007: WELCOME to ”post-America”, a once-proud nation beset with ”corruption, ineptitude, malevolence and hysteria” and filled with ”needless complexity and meaningless multiplicity of choice”. Peter Dale Scott’s lacerating study exposes this new America from the ground up — with rich-poor income disparity now surpassing the old world’s, and the middle class (”the heart of any public democracy”) losing economic ground — and shows how these unchecked forces are remodelling US foreign policy (often driven by ”small cabals”), threatening the foundations of the republic. Weekend Australian, September 22, 2007: WELCOME to ”post-America”, a once-proud nation beset with ”corruption, ineptitude, malevolence and hysteria” and filled with ”needless complexity and meaningless multiplicity of choice”. Peter Dale Scott’s lacerating study exposes this new America from the ground up — with rich-poor income disparity now surpassing the old world’s, and the middle class (”the heart of any public democracy”) losing economic ground — and shows how these unchecked forces are remodelling US foreign policy (often driven by ”small cabals”), threatening the foundations of the republic. This book, though it has 9/11 in the title, is about much, much more than 9/11. The title, I think, is a bit misleading. It might be more accurate to call it The Road THROUGH 9/11 since it’s really about how 9/11 was used by certain neocon gentlemen – including a Mr. Cheney and Mr. Rumsfeld – to get to where we are today…. D.310a Deep Politics: Drugs, Oil, Covert Operations and Terrorism: A briefing for Congressional staff, July 22, 2005. Also on Internet as “9/11 in Historical Perspective: Flawed Assumptions,”, GlobalResearch.ca, 7/29/05, http://globalresearch.ca/index.php?context=viewArticle&code=SCO20050729&articleId=759. D.334 “9/11’s Trainer in Terrorism Was an FBI Informant” (Peter Dale Scott Talk in Palo Alto, October 27, 2006). D.331 “How the FBI protected Al Qaeda’s 9/11 Hijacking Trainer: New Revelations about Ali Mohamed,” GlobalResearch.ca, 10/8/06, http://www.globalresearch.ca/index.php?context=viewArticle&code=SCO20061008&articleId=3422. The following text is an expanded version of Peter Dale Scott’s Talk at Berkeley, September 24, 2006. Click here for Spanish translation. Click here for Italian translation. D.330a “Nuevas revelaciones sobre Ali Mohamed: El FBI protegio al instructor de Al Qaeda para el 11-S,” VoltaireNet.org, 5 de Noviembre de 2006. D.345 “Exclusive excerpt: The Road to 9/11: Wealth, Empire, and the Future of America,” Guerrilla News Network, August 14, 2007. “9/11 Commission Deception, Cheney’s Actions on 9/11, and Why He Should Testify Under Oath.” Journal of 9/11 Studies [September 26, 2007], http://journalof911studies.com/volume/2007/ProfScottWhyCheneyMustTestify.pdf. D.317 “10-Year U.S. Strategic Plan For Detention Camps Revives Proposals From Oliver North.” Article for Pacific News Service, February 21, 2006. The article concerns ” ENDGAME: Office of Detention and Removal Strategic Plan, 2003 – 2012 — Detention and Removal Strategy for a Secure Homeland”. The plan is to build the capability to “remove all removable aliens,” and the detained population is to include “illegal economic migrants, aliens who have committed criminal acts, asylum-seekers (required to be retained by law) or potential terrorists.” Click here to see brief excerpts. D.315 “Homeland Security Contracts for Vast New Detention Camps.” Article for Pacific News Service, January 31, 2006.